With inflation rising, German farming is in crisis. 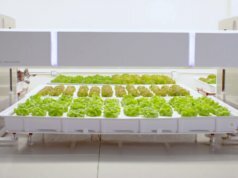 With the help of partners across Europe, researchers at Berlin’s Fraunhofer Institute are developing a robot capable of automating complex farming processes – specifically the cucumber harvest. Malek Murison explains why this is so important. The German cucumber market is in trouble. This might not sound like an urgent problem, but it’s indicative of a worrying trend in Western European agriculture. Traditional harvesting processes are energy intensive and recent changes to minimum wage laws have pushed overheads to breaking point. In many cases, cucumber farming has started to relocate to eastern Europe and even to as far afield as India. The only way to save Germany’s cucumber industry – and others like it in the agriculture sector – is to develop a more efficient and economical harvesting method. This isn’t a minor issue; in 2017, soaring fruit and vegetable prices (up 21 percent) were responsible for pushing inflation in Germany up to 2.2 percent, the highest figure for four years. Rising energy prices are worsening the problem, too. So the humble salad and sandwich filler is much more important than first appears, and the types of problem that affect one type of harvest are affecting many others too. Germany’s cucumbers are currently harvested by hand. Using huge ‘cucumber flyers’ – farm vehicles with wing-like attachments – seasonal workers lie on their stomachs and pick while the vehicle moves through the field. This form of harvesting is both labour-intensive and uneconomical. 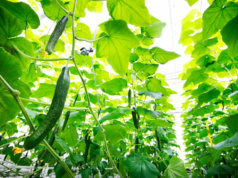 Researchers at Berlin’s Fraunhofer Institute are developing a new way to harvest cucumbers with a view to keeping this niche agricultural market in German fields. The CATCH project, short for (in translation) Cucumber Gathering and Green Field Experiments, has been subsidised by the European Union’s robotics research project ECHORD++ Experiments. Researchers at Fraunhofer are working alongside teams from Spain’s Centre for Automation and Robotics (CAR) and the Leibniz Institute for Agricultural Engineering and Bioeconomy. 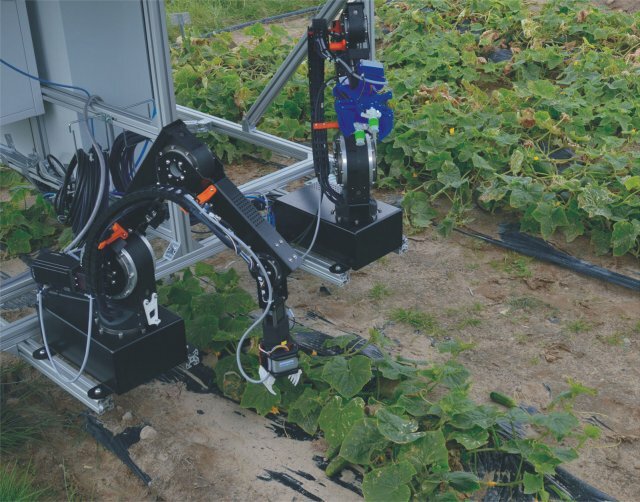 Together, they are developing a dual-arm robotic system that’s capable of automating the cucumber harvest, as well as having potential in a wide range of other agricultural applications. In order to effectively replace human workers, the robotic picker needs to be cost-effective and dependable. It needs to keep going, no matter what the conditions, correctly identifying ripe cucumbers before plucking them out of the ground. And it needs to match its human counterparts, and be capable of picking at least 13 cucumbers a minute. 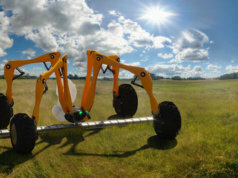 The harvesting robot has tactile perception and can adapt to ambient conditions. And its dual-arm system allows it to imitate human movements. 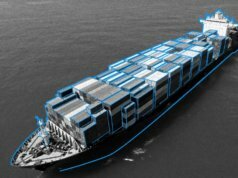 The real challenge lies with building an autonomous system capable following the same processes as a human would. Instead of eyes and hands, it relies on optical and tactile sensing. When it comes to cucumber harvesting there are some tricky situational challenges. For example, the robot has to be able to identify green objects camouflaged by green surroundings. Some are hiding behind vegetation, and there’s no strict pattern as to their whereabouts. This part of the CATCH project is overseen by Spanish partners at CSIC-UPM. They have developed a camera system that allows the robot to locate approximately 95 percent of cucumbers. Preprogrammed behavioural patterns and techniques enhanced from a previous EU robotics project have made bimanual searching possible. As a result, the robot can search for cucumbers in the same way that a human would. Initial field testing was successfully completed by the Leibniz Institute for Agricultural Engineering and Bioeconomy in July 2017. Since late last year, the project’s partners have been conducting additional tests to analyse the potential impact of interference and malfunctions. In November 2017, the results of the CATCH project were announced at agriculture trade fair, Agritechnica. Further tests of the new harvesting robot will soon be completed. The project partners plan to make it commercially viable as soon as possible. This international project reveals the hidden challenges of automation, and the economic imperative behind many such projects. First, replicating complex human tasks is not easy, especially when human beings have billions of years of evolution on their side. 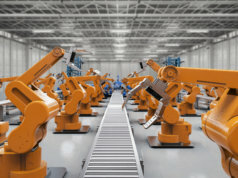 Not every task performed by robots involves repeating the same simple patterns, especially once robots are taken off the shop floor and put to work in the field. And second, automation and robotics don’t always involve replacing jobs; this is no zero sum game. 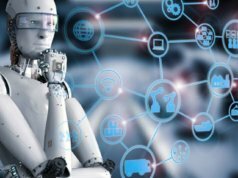 Often automation can help retain markets – and therefore wider employment opportunities – within national borders, and create new jobs and new opportunities to innovate.